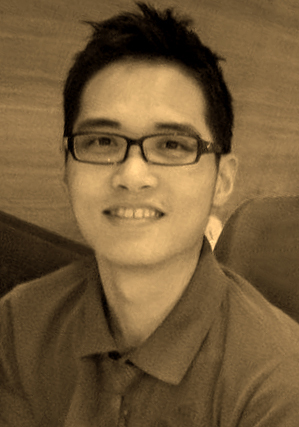 Nathan Tu was born and raised in Taiwan. He moved to California in 2006 and studied foundation Art at Pasadena City College for 1 years. And then, he started his 3D training at Gnomon School of Visual Effects in 2011. He majored in Modeling and Texturing track and he found himself more addicted in the game industry during his study. Therefore, he studied intensively toward low-poly modeling and optimization. The programs he is familiar and confident with are: Maya, Zbrush, Mudbox, xNormal, Photoshop, Ddo, Ndo2, Marmoset Toolbag2, and Aftereffects. He also got the knowledge of Nuke, Illustrator, Mari, and UDK. Of course, he knows Mental Ray and V-ray in Maya as well. Even though he tends to game industry, he is open to any kind of jobs which are related to 3D world. He really enjoys doing modeling, retopology, UVs and texturing. He is always on the lookout for new technologies and continue growth as an artist. After graduation, he did some freelance jobs for films to get more experience.